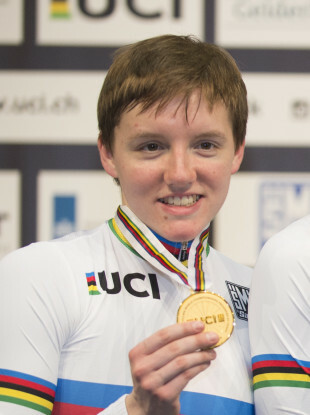 Kelly Catlin pictured at the 2018 UCI Track World Championships last March. USA CYCLING HAS announced that Olympic team pursuit silver medallist Kelly Catlin has died. Catlin was part of the four-woman team at Rio 2016 that finished second behind Great Britain in the gold-medal race. The 23-year-old won three successive world titles from 2016 in the event, while also forging a career on the road with Rally UHC Cycling. “The U.S. cycling community suffered a devastating loss with the passing of Kelly Catlin, USA Cycling National Team member,” said president Rob DeMartini. “Kelly was more than an athlete to us, and she will always be part of the USA Cycling family. “Our thoughts and prayers are with the Catlin family. This is an incredibly difficult time and we want to respect their privacy. “The entire cycling community is mourning this immense loss. We are offering continuous support to Kelly’s team-mates, coaches and staff. We also encourage all those who knew Kelly to support each other through the grieving. Rally UHC Cycling also tweeted their condolences following the news of Catlin’s death. “The news of Kelly’s passing has hit the team hard,” they said. “Losing an incredible person at such a young age is very difficult. Email “United States Cycling Olympic silver medallist Catlin dies aged 23”. Feedback on “United States Cycling Olympic silver medallist Catlin dies aged 23”.